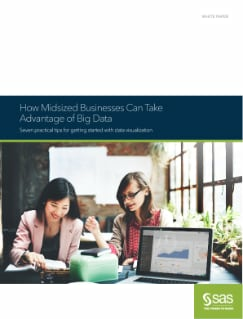 This paper is a great how-to guide for midmarket businesses looking to get started in data visualization. These seven practical tips will provide insight on how to get real results from data analysis and visualization. Examples from marketing, finance, quality control and human resources departments show how businesses can use visual analytics to explore their big data and create or maintain competitive advantage.